My husband and I stayed in the Canal View Apartment for three nights in late September. We arrived early on our check-in day, drenched by the rain. Wilson welcomed us in and helped us dry off with the hair dryer and the clothes dryer and made us amazing cappuccinos to warm us up. What a great way to start our 4 days in Amsterdam! The apartment had everything we needed for a comfortable stay. The washer, dryer, dishwasher, refrigerator, and microwave oven are all tucked away behind cupboard doors in the kitchen. The Albert Heijn grocery store is just up the street, across and down from Rembrandt's House. The location is within walking distance of almost everything we wished to see.The Nieuwmarkt Metro is very close by and there is an elevator for your luggage, so don't pay a lot to take a taxi to or from Central Station. If we are able to return to Amsterdam, we would definitely stay here again. My partner and I have stayed here many times and will probably stay again. 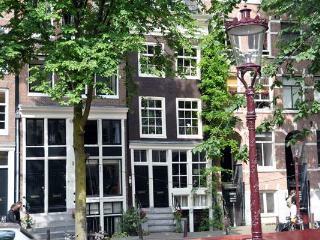 The apartment is ideally located for those who like to wander round Amsterdam on foot. 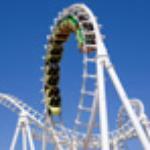 10 minutes to the train station, 5 minutes to Dam Square. If coffee shops are your thing, there is an excellent one (Basjoe) that can be seen from the front door. The canal that passes the door is a constant source of entertainment with all kinds of boats and characters passing by all day. The apartment itself is a joy. It has just about every appliance and utensil you will need to make the perfect stay. Round the corner is Waterlooplein and the Rembrandt House and museum. Supermarkets, cafes, restaurants and bars are at hand. The one downside is the student (fraternity?) house down the street.They do like to party and can be a little boisterous. Still, from the warm welcome by Wilson to putting the keys in the letterbox when leaving this is an outstanding place to stay. Try it. You won't regret it. We stayed here for 3 night at the end of July and it was very comfortable with all amenities that you need. The location was great and only a 10 minute walk to Dam Square. View from front window was fantastic overlooking canal and a great way to start the day with a coffee. Bas was a great host and more than happy to assist when required as he lives upstairs. We stayed in this apartment for a week and it was amazing. Nice place with everything you could possibly need including a dishwater and washer dryer, which I used thank you. 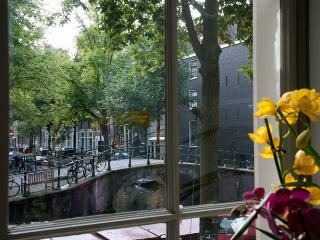 The view from this apartment is probably the most charming in all of Amsterdam. It is right on a small canal and looks out over a tiny bridge connecting another canal. This location is very quiet except for the church bells during the day, but I actually loved them. And they don’t ring at night. I only wish I could give this place a higher rating. You must stay here! We stayed here several years ago and loved it, so were very happy when we found the apartment available for our recent visit. Well equipped kitchen, walk-in shower, large comfortable bed, and a dining table next to the window overlooking the canal. Bas and Wilson are so helpful. The apartment is close to the metro and trams, making it easy to explore the city. We especially like the nearby botanic garden. Also, lots of nearby restaurants and pubs, an outdoor market, and a couple of grocery stores. 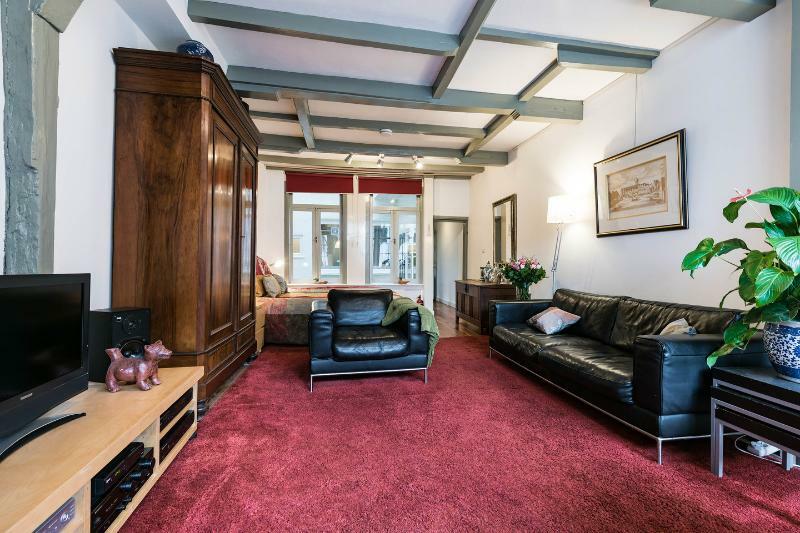 Located near many Amsterdam's attractions, this apartment is magnificent! The owner Bas is very helpful and since he lives upstairs can be reached easily in case you need assistance. The apartment has everything you will need and is very comfortable. Dining by the window with the canal view is unbeatable! We surely plan to go back! Located on a beautiful, quiet street this apartment was perfect for my wife and me. The owner was very helpful. We had everything we needed.